← The Fastest Man in the World! I fried two ripe plantains in olive oil today. 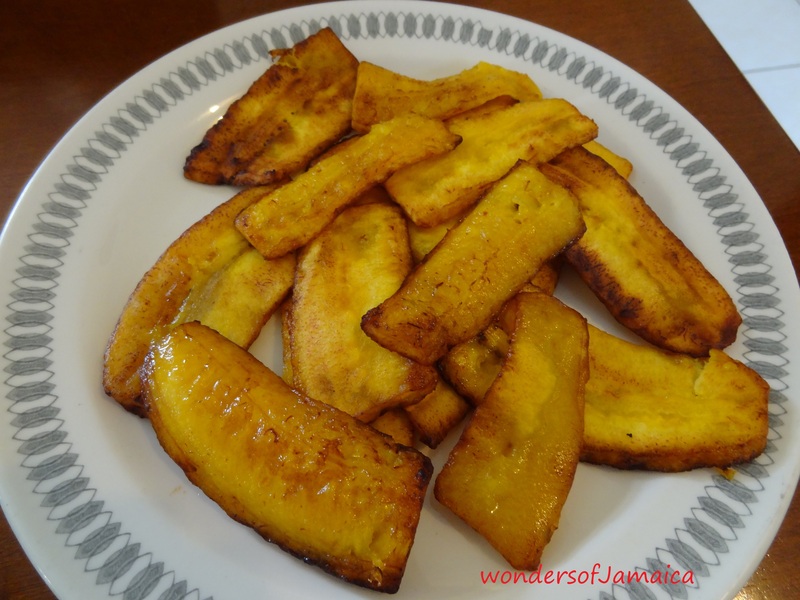 I could have baked the plantains instead, but I love them fried, because the sugars in the plantains caramelize and the result…sweet and gooey. Plantains play a big role in our culture as well, and can be enjoyed both green and ripe. This entry was posted in Culture, Healthy Eating, Jamaica, Jamaican Fruits, Photos and tagged caramelize, fried plantains, Jamaica, Jamaican Fruits, Olive oil, photography, sugars, travel, vacation. Bookmark the permalink. Looks delicious! We also have that food here in the Philippines! It was delicious…and I will definitely check out your blog. It is great to know how several different cultures share the same tpyes of food…connecting with each other through food. Thank you Rodel for your comment. One Love. I can never get mine cut like these. 🙂 They look delicious. My daughter loves them. They taste amazing! Sweet, but not too sweet oh and gooey…yu daughta have good taste man.